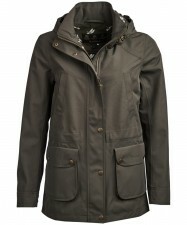 Part of the Barbour Weather Comfort Collection, the Men's Barbour Foxtrot Waterproof Jacket is a practical and stylish waterproof coat, perfect for taking on the unpredictable weather. 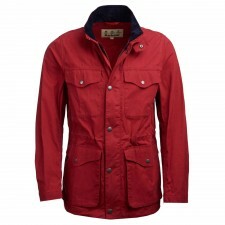 Boasting a totally waterproof outer, the jacket simply brushes away the wet weather and also features a part lined breathable mesh lining to keep you cool, dry and looking your best. The fixed hood also features adjustable toggles for you to find that perfect fit and complete coverage when the weather really takes a turn for the worst. 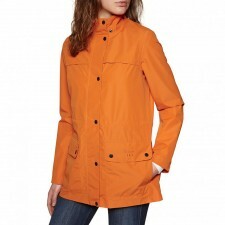 Designed for your complete convenience the jacket boasts full zip fastening with a storm guard, allowing you to totally shut out the wind and rain. Whilst two front patch pockets have been added, offering you space to safely store any valuables whilst out and about. 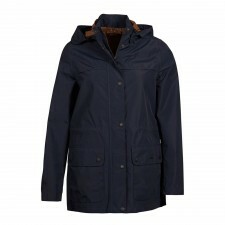 Finished off with adjustable cuffs and hem to find your desired look, the Barbour Weather Comfort Logo has been added to the left pocket, giving the jacket that final stamp of style and seal of quality. Whether heading out on a countryside adventure or exploring one of Britain's beautiful coastlines, the Men's Foxtrot Waterproof Jacket is the right wardrobe decision to keep you dry, comfortable and firmly on trend.